This is a call for artists in Portland to produce art for an upcoming Propaganda Party. The event will take place in the Paragon Gallery at PCC Cascade Campus, 815 North Killingsworth, from 5-9 pm on Friday August 18th. Propaganda Parties are events where artists and activists gather to hang out and distribute free material (posters, prints, stickers, flyers, banners, anything), to socialize and to imagine better ways to link art and movements. Live screenprinting of slogans, images, graphics and designs reflecting political and social themes is part of the party too. We’re a group of Portland artists and activists working in a variety of movements, and using a variety of tactics. We have in common a belief that visual art can shift consciousness and bring people together, and we want to use that power to uplift communities and help them feel strong enough to defend themselves in the current climate. With that in mind, we ask artists in Portland to think about solidarity; in the sense of showing up and sharing your physical, intellectual, and emotional resources, and about extending that solidarity to community defense. We’d then ask you to make some work on that subject to give away. Make multiples, as many or as few as you like, and bring that work to the party. There you can connect with other artists and agitators, and talk about what we can do to make our movements stronger and our communities more resilient. Please invite other artists and activists you think might be interested! A special note- the total solar eclipse is on Monday the 21st, so consider including that as a theme in whatever you make! 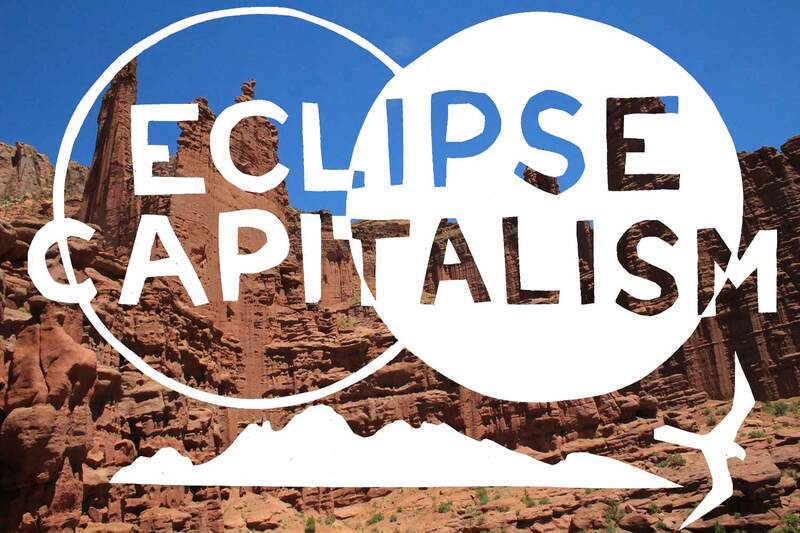 A lot of people from Portland will be headed out to view the eclipse in rural areas so we have a chance to get our propaganda into regions we might not otherwise reach. Any questions? Contact Roger at toosphexy@gmail.com.